Blitz the chick peas, a squeeze of lemon juice an the garlic clove in a blender until it forms a smooth paste. Add a dollop of low fat natural yogurt and keep adding little by little until you reach your desired consistency. Sprinkle with paprika if you want a spicy kick! 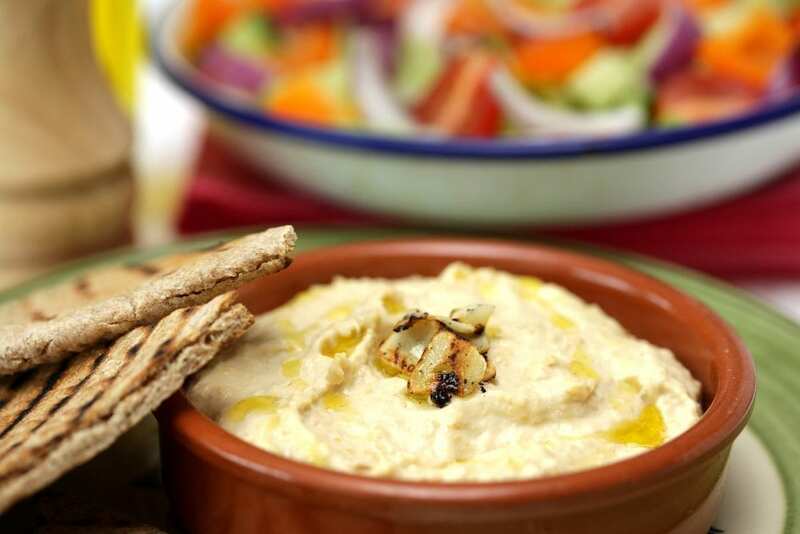 Serve with crudites, toasted wholemeal pitta pockets or serve with your favourite salad.